Attention! 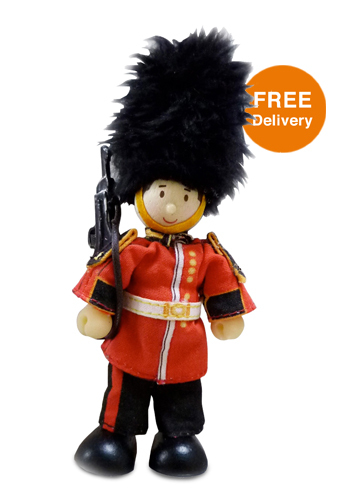 Budkins Royal Guard James looks resplendent in his military uniform, iconic bearskin hat and rifle. Often seen on sentry duty outside Buckingham Palace, James takes his job very seriously and often patrols the palace grounds at night.